This was one of the best years ever for U.S. stocks, but the 2013 stock market was powered far more by rising price-earnings multiples than by growing earnings. Nobody can foretell what the market will do in 2014. Sometime in the future, however, it likely will have a sharp correction. Yet selling all your stocks does not make sense. Equity prices may continue to rise—and it is impossible to accurately predict when prices will reach a temporary top, sell and then get back in at just the right time. Moreover, the U.S. economy should do better in 2014 than 2013 as monetary stimulus continues and the fiscal tightening from increased payroll taxes and the sequester lessens. In the long run, as the U.S. economy grows and corporations prosper, stock prices should continue to trend up. My recommendation is to rebalance your portfolio. Historically, keeping different asset classes roughly in proportion to the target allocation that seems best considering the investor’s age, financial situation and risk tolerance has lessened the volatility of the portfolio and often increased returns. Individual investors tend to make terrible timing decisions. They put the most money into equities when everyone is optimistic and prices are elevated, and then sell during times of extreme pessimism when prices are low. More money went into equity mutual funds during the first quarter of 2000, the height of the Internet bubble, than ever before. Individuals then took unprecedented amounts of money out of their equity mutual funds during the third quarter of 2008 — the depth of the financial crisis and bear market. Bonds. Normally investors rebalance by selling stocks and buying bonds. But these are not normal times in the United States or other developed nations. Governments wrestling with large budget deficits, huge unfunded liabilities for entitlement programs, and high unemployment rates have adopted policies of keeping interest rates extraordinarily low. Ten-year U.S. Treasury bonds yielding 3% provide neither generous returns nor an adequate margin of safety to make a shift from equities to high-quality bonds an unambiguous risk-reducing strategy. If rates rise in 2014 as the real economy gains momentum and the Federal Reserve commences a program of “tapering” its bond purchases, high-quality bonds could suffer meaningful losses. It is possible, however, to find some bonds with relatively generous yields and some bond substitutes that can provide a portfolio with somewhat greater stability and increased yearly income. One example: foreign bonds from developing countries with moderate debt and good fiscal balance that can be purchased at yields above those available in developed markets. Elsewhere, for taxable portfolios, good-quality U.S. municipal bonds are attractively priced relative to U.S. Treasurys, as the Detroit bankruptcy and the well publicized over-indebtedness of Puerto Rico have cast a pall over the entire tax-exempt market. Closed-end mutual bond funds holding either national or state-specific securities are selling today at discounts of over 10% from their net asset values. They do have moderate leverage as they enhance their yields by borrowing at very low short-term rates. But with tax-exempt yields often over 7%, these bond funds provide investors with adequate compensation for the risks involved. High-quality stocks with growing dividend streams also provide a useful alternative to bonds. For example, AT&T’s 10-year bonds yield only 4% per year. But AT&T stock, one of the most stable and highest-quality equities, yields over 5% and its dividend has grown moderately over time. Portfolios of similar “dividend-growth” stocks (available as mutual funds or ETFs) can serve investors well as a relatively stable income-producing anchor for the overall portfolio. Stocks. Price-earnings multiples for U.S. stocks are now in the high teens. Multiples of cyclically adjusted price-earnings ratios (CAPEs) are even higher. Historically, high CAPEs have forecast future 5- and 10-year stock returns with reasonable accuracy, although they have a poor record forecasting the next year’s return. Equities in emerging markets provided near-zero returns in 2013. Earnings in emerging markets did increase but price-earnings multiples declined considerably. Today CAPEs for emerging markets stand at about 10. As in the U.S., low CAPEs do a reasonably good job of forecasting long-run future returns. Multiples around 10 have historically been associated with double-digit future 10-year rates of return. Price-earnings multiples often revert to the mean. At some point in the future the relative performance of both markets should also revert to the mean. Over the longer run, emerging-market returns have exceeded those in the U.S., Europe and Japan. Because U.S. and developed foreign markets have risen sharply while emerging markets stagnated, portfolios will tend to be overweighted in domestic and developed foreign market stocks and underweighted in emerging markets. Rebalancing involves selling some equities in developed markets and buying those in emerging markets. If history repeats, rebalancing by bringing the share of domestic equities back to their target allocation will tend to increase portfolio returns and constrain risk, despite the greater volatility of emerging markets. 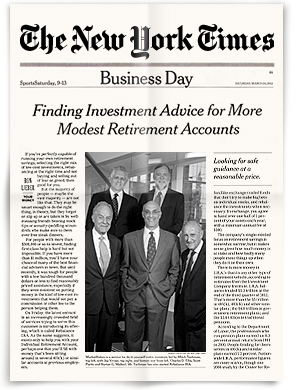 Mr. Malkiel serves on the advisory board of Rebalance.